Here is the song list playlist for The Voice Top 10 2018 Playlist Songs Video watch. Some diverse music selections this week. What surprise will be found under the rock? Reagan pursuing the Faith Hill music stop should see her continue this journey. DeAndre needs a masterful Bruno song performance to change his fan base quickly. Team Blake remain in their wheelhouse, finding Kirk’s choice a the likely standout this week. JHud’s Team, new music suits Kennedy with MaKenzie sticking with her traditional powerhouse song list from Bee Gees to Celine this week. #VoiceTop10 voting is OPEN! Do what you do best, y’all. Finally, Team Kelly has Grace stamping her mark on the gospel marker, along with Kymberli, leaving Chevel to beat them with some plain country good music. Two acts go home this week. YAY! Keep the movement happening. OUR BLOG and Videos will appear later! Top 10 Contestant Songs /or if you want to revisit the season for each act then use the links below. Reagan Strange –Cry by Faith Hill. No1 streaming video two weeks in a row, back to Adam talking about himself to us, calling her special, he thinks this is really right for her. This could make week three with all those endless faithful country-loving fans. Blake remembers him not winning her as an act she did a great job. Kelly loves how she can express emotion in her work. Adam talked about the technical stuff, commanding attention in the room, nothing but proud of her. DeAndre Nico – That’s What I Like by Bruno Mars. Adam revisits his bottom two-moment last week and talks about his vocals. This song has not been performed on the show and comes with all he’s got! Singing to survive and pick up some votes from other people. Blake thought he showed off his best side with this performance. Kirk Jay – Tomorrow by Chris Young. Back to his roots this week and his lane, the ballads and people crying. He loves the real stories, an emotional outlet for him. Blake believed this will showcase his realness. Only two steps away from the finale. Chris Kroeze – Callin’ Baton Rouge by The Oak Ridge Boys. Out bowling this week with his team. Back home his band would fill the dance floor a barn burner. Blake talked about the nuances of Garth’s performances. More production ideas from BS and called him a serious challenge to the finals. Kelly loved him she wants to be friends with him and attacks Garth Brooks. Blake was happy for him, your brought country to primetime, vote for this guy. Kennedy Holmes – Me Too by Meghan Trainor. JHud released her childhood to sing what she needs to be singing. Finally! Even the dancers are age appropriate for this whole performance. Perfect. Surely this will be her moment this season… appealing to the young audience. At 13 years of age, we can feel the excitement. Kelly was so happy to see, doing stuff her age, a smart move. Adam went smart, he talks about himself so often, you are doing really really well. JHud was proud and ready for the game. MaKenzie Thomas – Because You Loved Me by Celine Dion JHud spent both parts praising MaKenzie and comparing her to several big-name divas, take your pick, she has sung several of them. Nothing against singing the best, it just all becomes a bit much and is subjective to one’s personal taste. Sarah Grace – Amazing Grace (Traditional Hymn). Kelly calls her plan to sing the song and play the trumpet with a changing dark secret introduction, the dirty sound out in her instrument. Cute as hell as well said, Kelly. Vocal this was striking, with an interlude of instrumental that maybe was distracting… for me at least! JHud that was beautiful. Kelly called her soulful and intelligent artist…insane rendition. Kymberli Joye – Oceans (Where My Feet May Fail) by Hillsong United. Kelly recalled her preaching song last week and keep the momentum going this week. Faith has brought both Kymberli and Kelly out of depression. Kelly was intense on her production notes with her. Eyes wide shut Kymberli…so powerful in her rendition. Moving and releasing the spirit. Blake happy to talk to her, it was her most powerful, controlled and tasteful, her best to date. JHud there is nothing she can not sing. She is already walking her purpose. 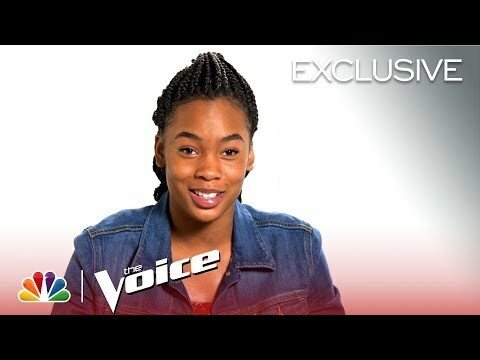 Kelly called her the best voice on the show, more insane, God does his work. Perfect for her audience. Chevel Shepherd – You’re Looking at Country by Loretta Lynn. Kelly wants to teach her about yodelling right out of her behind. LOL. She calls her a country Tinkerbell. That seems accurate at the moment. SWEET. Blake you have found a way to make Loretta even more country. JHud watched loving her performed. Kelly wanted to take her home, her favorite and loves her.